The Korean giant was one of the first to introduce Android tablets in order to compete with Apple products. Although there has been a decrease in the demand for tablets over the years, Samsung has continued to try selling multiple products to target audiences. The Samsung Galaxy Tab S3 comes with a very impressive design which is very slim and classy. It feels luxurious when you hold it because of its all-glass back. It is merely 6mm thick and comes with a stylus and can also be paired with a keyboard. The device has two speakers on the top and two on the bottom so you get a stereo output no matter how you hold it. It comes with a Nano-Sim tray and a MicroSD tray. It is powered by Qualcomm Snapdragon 820 SoC which is now outdated but still works fine. It has 4GB of RAM and 32GB internal storage. The battery is 6000mAh which lasts for a day or two easily. Samsung cameras are usually great but do not expect much from this one. The 13MP rear and 5MP front camera firstly lack the HDR feature and the photos are very average missing detail and texture when viewed at full size. Samsung Galaxy Tab S3 which is Priced at INR 49,900,costs as much as mainstream laptops so there are a lot of factors to look into before choosing this as the device for you. 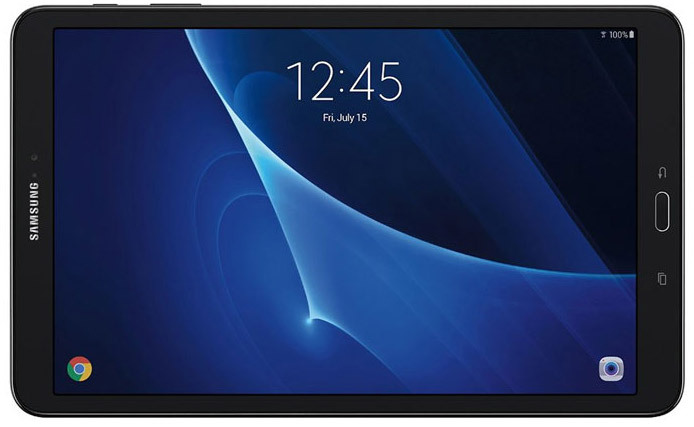 Samsung Galaxy Tab S3 full specs and reviews as of Apr 2019. Buy it here!